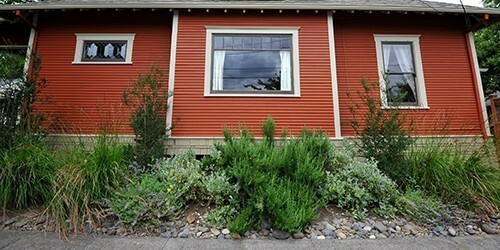 Are you looking at your yard and wondering what to do? 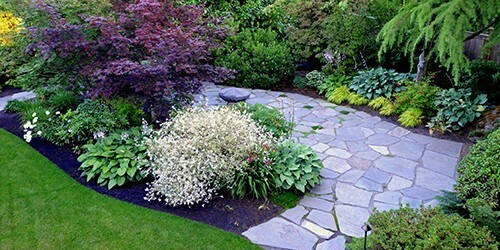 Wondering what the landscape design process looks like? ANNIEBAM works collaboratively with clients to create sustainable and effective landscape designs. Whether you simply need some individualized help on an hourly basis, or you want to utilize our years of expertise to guide you through the complete design process, we can help. We love creating customized solutions that meet our clients’ unique needs and budgets. We will guide you through the entire project, from the conceptual stage, to the final installation. Includes site analysis, concept plans, hardscape and planting plans, and plant images. Sometimes you just need new ideas or a second opinion, or have a small area of your yard that needs help. We can work with you to address your specific needs on an hourly basis. After working with ANNIEBAM on our front yard we vowed to have her come back to help us out with our patios out back and we are thrilled with her design she proposed. Once again she was able to accommodate both our goals and restraints. Annie was mindful of my desire to personalize the plantings. I can’t tell you how much I appreciated that interaction and thoughtful approach.